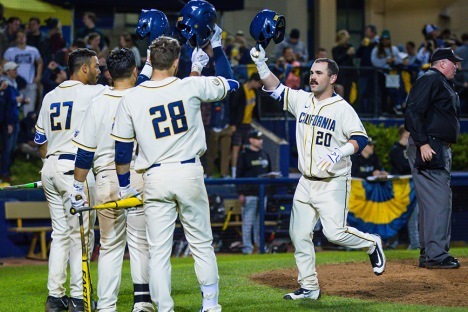 Cal Baseball hosts Men's Baseball vs. Stanford at Evans Diamond. Following the 5:00 screening of Marcel Pagnol's 1938 French tale of cuckoldry, join your fellow filmgoers for a scrumptious meal, prepared and served by Babette chefs Joan and Patrick. Film and dinner require separate ticket purchase. Michael Jones is a percussionist, improviser, and researcher based in San Diego, California. His work specializes in experimental and avant garde music, with a particular interest in the concepts of beauty, natural listening, and community. Warsaw-based Song of the Goat Theatre integrates movement, song, and text to mine historical works for fresh insights. The award winning Songs of Lear retells the kings story as a dramatic oratorio blending Corsican folk music and Gregorian chant. Song of the Goat Theatre performs Songs of Lear and Hamlet: A Commentary Saturday–Sunday, May 11–12, 2019.